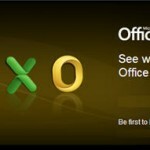 – As usual, microsoft is giving away office 2011 for mac as a free download, for those buying an earlier version of the product within a stipulated time frame. All mac users who intend buying microsoft office 2011 for mac, can now purchase a qualifying Office 2008 and become eligible for a free upgrade to Mac 2011. This offer is very similar to the one made available for Office 2010 download. Thus, you don’t have to wait for microsoft office 2011 for mac to be released. If you purchase Office 2008 for Mac between Aug. 1, 2010, and Nov. 30, 2010, you will be eligible to download Office 2011 for Mac free! If you haven’t bought the qualifying version between those dates, you can still download a trial copy of Office 2011 Mac to test this latest Office suite for Mac, before you decide to by it! Here is what you should do to download microsoft office 2011 for mac free! 2. Save your microsoft Office 2008 for Mac dated sales receipt and the corresponding product key in a safe place. 3. Request your microsoft Office 2011 for Mac upgrade by providing your product key and completing the online registration form, not later than Dec. 31, 2010. Do not forget the deadline due to the holiday season. Also ensure that each request for upgrade is entered separately. 4. Verify the purchase by submitting appropriate proofs. You will be notified by e-mail when Office for Mac 2011 is available in your country or region and language. For further details, go to http://www.microsoft.com/mac.